In nearly every two week run this year, it seems like there’s been a record that’s posed a legitimate threat to crack a handful of year-end lists. It’s been true from literally the opening seconds of 2018, which saw the surprise release of Jeff Rosenstock‘s exceptional POST-. While there have been a few lulls in select spots, that intensity’s remained and fueled a great year for music. A trio of records that emerged over the past few weeks have the kind of potency to either crack those lists or carve out a spot as a well-hidden cult favorite. All three are worth hearing. Dive in below. The three advance singles that teased Ovlov‘s unexpected comeback album, TRU, all netted featured positions and seemed to suggest the band was operating in rare form. Turns out, that suggestion only scratched the surface of what turned out to be a monumental effort from the recently reunited act. The finest Ovlov record by some margin, TRU is a towering behemoth that could only exist through the lens of a band that’s kept finding ways to survive themselves. An examination of impulse, longing, and mental health, TRU bristles and seethes at an unmatched velocity, anchored by the burden of knowledge. Scintillating from start to finish, buoyed by a series of inspired moments, TRU is tethered together with a narrative through line that makes it feel overwhelmingly whole, even in the face of its persistent ruminations on incompletion. While the band still finds life at the intersection of grunge, slacker punk, and basement pop, the way they’ve reshaped that musical identity on TRU is commendable. Wielding an expanded palette, a seemingly limitless scope, and a desire to improve, Ovlov have created what’s easily one of 2018’s finest records. 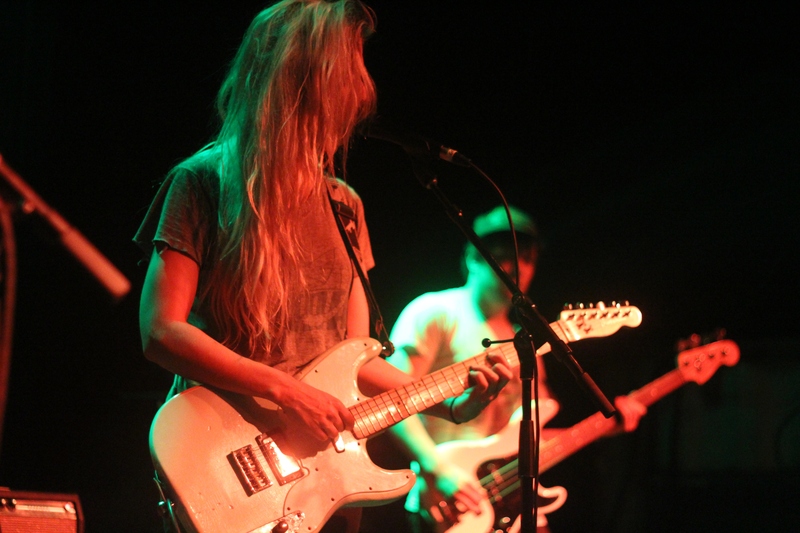 Additionally, TRU acts as a very welcome reminder of a singular band’s extraordinary talent. Giddy, scrappy basement pop gifted with dream pop and powerpop sensibilities, Pippy’s Users was an incredibly welcome find what had been proving to be an otherwise desolate patch of new releases. The kind of record that makes sifting through an endless amount of dreck worthwhile, Users is teeming with the liveliness that can serve as its own adrenaline injection. Full of hooks, the record never eases off its acceleration pedal, resulting in a ragged, irresistible collection of distinctly crafted basement pop. It’d been apparent from Fink‘s advanced tracks that Sean Henry had tapped into something a little more otherworldly than usual, swinging from one contemporary reference point to another but refusing to offer tidy reconciliations. A record that’s intentionally opaque, Fink weaponizes its musical palette and allows it to convey emotional heft in lieu of easily idenitifiable narratives; the musical equivalent of Shane Carruth’s absorbing Upstream Color. A record that’s content to soak in the dirt and the grime of the world, wallow in its own carefully guarded desperation, and reluctantly admit to slivers of hope, Fink finds Sean Henry operating at a new, fascinating level. It’s a journey worth the misguided shortcuts, scratches, and tangles. Every bruise is worth earning in Fink‘s fucked up wonderland of folk-tinged, psych-damaged, punk-learned basement pop. Two weeks may not seem like much of a span in the grand scheme of things but in terms of releases, it means a mountain of art to climb. During that journey, some sections manage to make more vivid impressions than others. This list specifically fixates on music videos and focuses on the clips that made a deep impression. Every artist in this list has been featured on this site in some way before but just because they’ve earned past accolades never ensures a repeat performance. A large amount of credit is due here to five artists who continuously push their own envelope. Take a breath and scroll down to explore their latest works. Gurr made a big impression with 2016’s outstanding In My Head, a record overflowing with memorable basement pop. “Hot Summer” is the emergent act’s latest reminder of their undeniable talent, replete with a mesmerizing visual treatment. A series of vignettes all evoking vivid memories of past summer seasons while looking ahead to the summers that lie in wait, “Hot Summer” makes sure its title is apt. Both the clip and the video are triumphant gems and offer a welcome return for Gurr. Over the past handful of years, Clearance have been kicking around the upper Midwest, touring when they can, and committing to their own improvement. That steadfast insistence has been paying dividends for each of the band’s releases and will see its current culmination in At Your Leisure (which will also be their first effort for Topshelf Records). “Had A Fantastic” is the first look at the record, a driving mid-tempo number that imbues their basement pop with post-punk influences. The compelling video (washed out in faded whites and yellows) is just the cherry on top. Uniting with their videographer Finn Bjornerud once again, Dusk have turned in another clip that plays homage to their own reality. Fixating on more central Wisconsin locations, “Old Magnolia” also provides the opportunity for Ryley Crowe (one of the band’s five notable songwriters) to be featured front and center. Leaning hard into classic folk, country, and Americana influences, “Old Magnolia” may be the purest distillation of the band’s overarching identity to date. Warm, tender, and familiar, it’s another worthy addition to an already exceptional repertoire. “The Ants” immediately comes across as one of Sean Henry‘s most arresting tracks but the video manages to elevate it from memorable to unforgettable. Tapping into the underlying dread and melancholy, “The Ants” becomes a creeping nightmare of a video. Off-kilter and defiantly strange, the clip finds Henry in the spotlight, donning a set of fake teeth and sulking around a cityscape as dusk turns to night turns to day. Weird, unavoidable, and mesmerizing, “The Ants” is as effective of a complement to its attached song as anyone’s likely to produce this year. 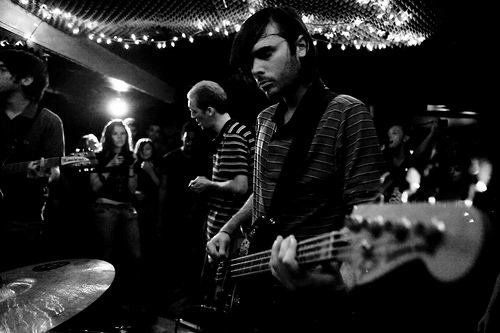 Coming just days after the release of Fog Lake‘s haunting “California” was “Push” and its accompanying music video. “Push” opens up in somewhat generic territory, ostensibly opting for an obvious melodramatic narrative before subverting its story to startling effect. That sudden change comes by way of one of the most brilliant transition edits the music video format’s offered in recent memory, as one scene hurtles into the next, literally altering the narrative (and the central character’s) timeline. Sudden and extremely effective, that tactic’s employed multiple times, each instance magnifying the effect. It’s brilliant filmmaking from both director Noah Kentis and cinematographer Bella Gonzales. “Push”, as a standalone song, would have stood as another of Fog Lake’s hidden masterpieces. Combined with the video, it becomes the project’s high point. A perfect mixture of empathy, elegance, and artistry, “Push” is the kind of video that doesn’t deserve to be forgotten. A few years ago, Royal Headache came barreling out of nowhere and struck with enough blunt momentum to create a crater that pulled a large handful of notable minds into their world. In the time that’s followed the release of their incredible self-titled record, they’ve managed to create a fascinating story by carving out their own epilogue and assemble what promises to be their finest release to date. Due out in August, High has already generated a significant amount of anticipation on the strength of its fiery title track (which is holding strong as one of 2015’s best songs). Those expectations get pushed even further up the spectrum with “Another World”. In a week of some seriously extraordinary releases (see the list of links at the bottom for proof), Royal Headache once again managed to conjure up a true standout that sees them surging towards the barriers of their own perceived limitations and doing everything they can to dismantle them with sheer momentum. It’s their most tightly-crafted song to date, rife with memorable hooks and genuinely explosive moments. As a new song with an open future, it would have been exhilarating in its promise- as a part of the band’s extended death rattle (the band’s vocalist was allowed to depart under the conditions that he stay on to complete the record and the subsequent promotional tour), it’s unforgettable. Wild-eyed, manic, impassioned, and deeply felt, “Another World” is another peak for a band that will be leaving us far too soon- but doing so at the height of their powers, on their own terms, and at the absolute top of the mountain. Listen to “Another World” below and pre-order High from What’s Your Rupture? here. Beneath the embed, explore a list of great songs to have surfaced throughout the week (if for some reason you’ve been doubting the overwhelming strength of this year’s release crop, remember that the below list is comprised of individual songs that all found release in the same week). It’s been a hectic two weeks. One move to Brooklyn and nearly a dozen live reviews later, there’s barely been time to run anything other than specialty coverage. In the interim since the move, I’ve been accumulating the pieces of media that have managed to catch my attention. This particular post will be dedicated to the music videos that managed to fight their way onto my radar, with the feature falling squarely on Bully’s endearing clip for Feels Like‘s hell-raising “Trying” (and an accompanying list of every other title via a list of hyperlinks). As mentioned above, most of the coverage has been geared towards live documentation, including a fierce in-store set from Bully, who managed to inject that same raw intensity into their latest clip. Shot in a straightforward black-and-white, the official visual representation of “Trying” manages to nicely echo the band’s very apparent 90’s influence. Utilizing a lot of shaky devices to compelling effect (the quick zoom, in particular, is utilized astoundingly well), the video’s central narrative finds an uplifting exuberance in its simplicity; Bully break into an amusement park and a pair of security guards attempt to track them down. There’s a very visible affection for the project on display throughout, exuding a very sincere giddiness that ultimately elevates “Trying” into one of the years most memorably fun videos. It’s a testament to the band’s intrinsic charisma as much as it is to their career savvy. Put simply: this isn’t something worth missing. Watch “Trying” below and order a copy of Feels Like here. Beneath the embed, there are links to several other videos that came out in the past two weeks that are worth watching.